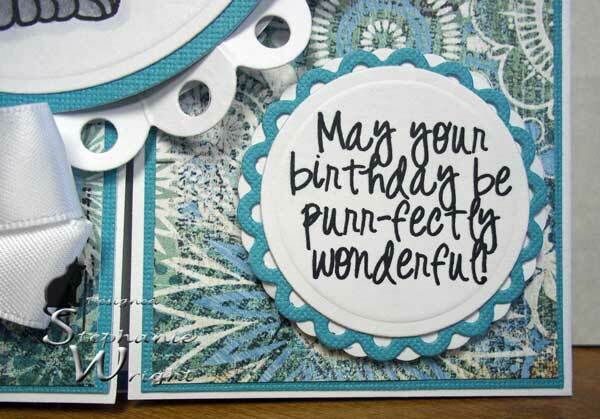 I won't be posting any cards for the next couple of weeks because I am recovering from some out-patient surgery. 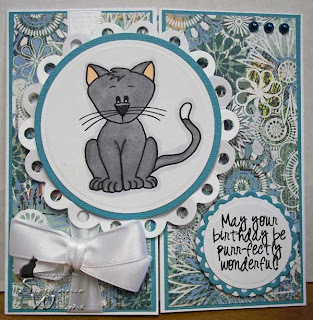 In my absence, Jenny Flynn is the Guest Designer for the Say It With Scripture Challenge at the Sweet 'n Sassy Connection. 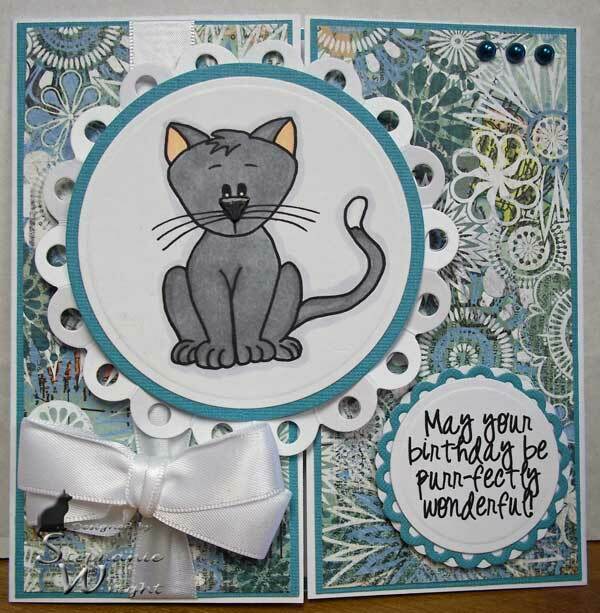 Be sure to stop by to see her beautiful cards and play along. I made a gate-fold card this time. I found a neat tutorial on making a lacey "skirt" behind the image panel over on Beate John's blog in this post. 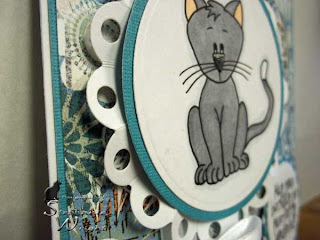 She also has an easy-to-follow tutorial for making a gate-fold card in the same post. I don't have the same die she used for her skirt so I used my eyelet circle die instead. Here's a side view of the image panel so that you can see the dimension. 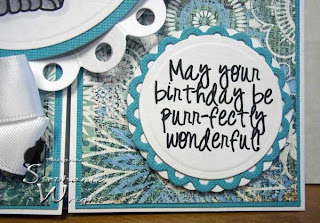 I stacked two of the smaller eyelet circles, cut in two different colors, on top of each other and slightly off-set the scallops to layer behind the sentiment panel. Thanks for stopping by. I hope you'll play along with us this week.